The second day of the Paris Air Show saw 468 aircraft orders and commitments announced by the global aerospace industry, putting the total for the first two days of the show at more than 900. 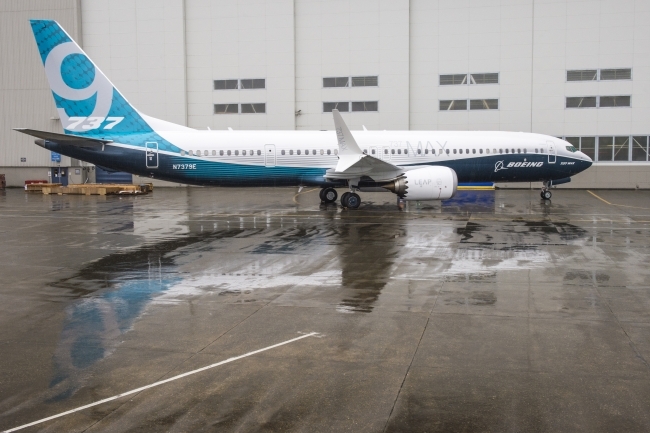 The biggest component of the orders and commitments announced today as the global aerospace industry gathered in Le Bourget was for Boeing’s 737 MAX family. UK companies are set to benefit directly from more than 200 orders and commitments announced for the 737 Max, producing crucial components including GKN’s fuel-saving advanced technology winglets, as well as emergency lighting systems, engine sensors and flight control actuators. ADS Chief Executive Paul Everitt said: “This week’s Paris Air Show is seeing major new business announced by airlines and manufacturers, worth £8.2bn to the UK’s globally competitive aerospace sector. “Right across the UK there are aerospace companies supplying critical systems and components that will ultimately fly in hundreds of the aircraft manufactured as a result of orders and commitments made so far this week. The second day of the Paris Air Show also saw Trade Minister Mark Garnier visit the UK Pavilion in support of the more than 80 companies exhibiting there, following BEIS Minister Richard Harrington’s visit to the Pavilion on Day 1. The UK has the largest aerospace sector in Europe, with an annual turnover of £31.8bn. In the first four months of this year, deliveries of new aircraft were worth up to £8bn to the UK, and the global backlog of orders remains close to record highs.